This week’s Friday Boot: Frank Zappa and The Mothers of Invention live at the Warrensville Heights Music Festival, OH, 10 August 1969 — with a couple of extra’s extras thrown in. ECCENTRIC rock legend Frank Zappa, zombies and the spookiest day of the year will be explored at an international conference. Among the topics to be discussed will be the Halloween Zappa concerts, which took place in New York in the 1970s and 1980s. They attained iconic status thanks to the costumes on and off stage. This 6minute exerpt is a small portion of the 14 hours I shot with FRANK ZAPPA & the Original Mothers of Invention over a two year period from 1967 to1968 for a film titled “UNCLE MEAT” in 1967. “Brad Miller even spent your tax dollars to pay teenage girls to watch pornographic movies with probes connected to their genitalia.” How’s that for a congressional campaign ad? Oh, and let’s not forget the Mariachi’s. Way to go, Vern! Accept Jesus — while trying not to succumb to a seizure! The original satanic footage here is from a 1922 silent film which was re-released in 1968 with a soundtrack by Jean-Luc Ponty and narration by Burroughs. Either the 1922 original or the 1968 re-release was titled Superstition: Middle Ages and Now. Perhaps the Drammen ’82 boot isn’t your cup of tea? Jazz-Rock-Fusion-Guitar has a boot up for grabs called “Around The World” labeling it “various live 1973″ (Rapidshare alert, unfortunately). An interview with Don Preston, who just turned 74. Care For Some Nudist Trampolining? … is available for one week. Ladies and Gentlemen: Mark Goffeney. The Making Of Freak Out! 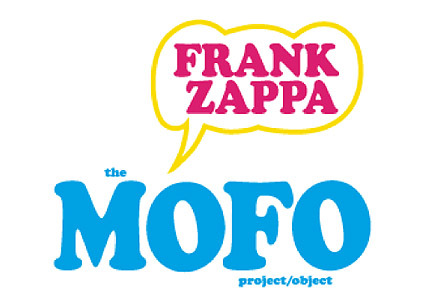 today zappa.com should be streaming a few samples of the album. Update: yup, #77 and #78.